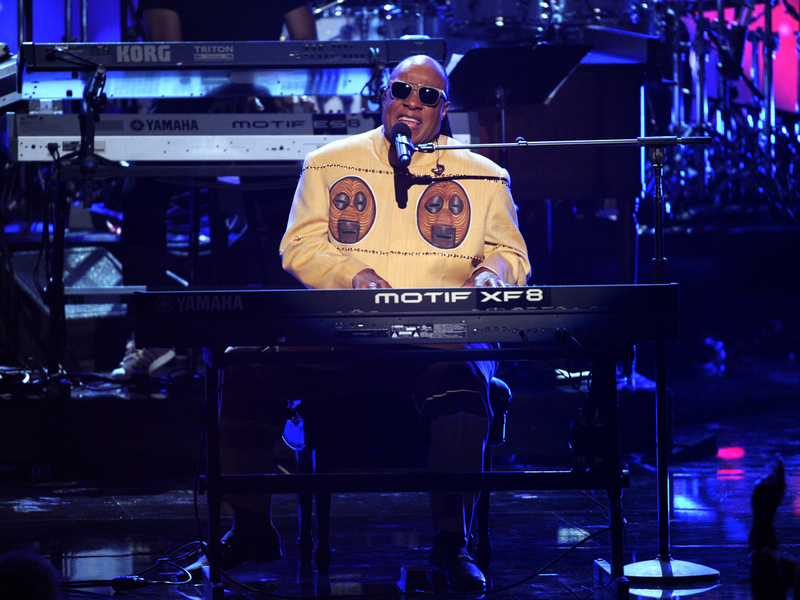 LOS ANGELES Stevie Wonder plans to release two albums next year, including some newly written songs, and he's working on a third. The 63-year-old performer said in an interview Tuesday that his first albums in eight years would be "When the World Began," a collaboration with producer David Foster, and "Ten Billion Hearts." Wonder, who filed for divorce last year, said the new music was inspired by "my children, family, change, growth, heartbreaks." He's also using hip-hop elements to convey political messages. "I listen a lot to rap, and I'm inspired to take it, to use it in another way, to get the message across," Wonder said. Rolling Stone reported over the summer that the album with Foster would include reworked versions of several of his biggest hits played with a symphony orchestra. Wonder also plans to fulfill a promise to his mother Lula, who died in 2006, by recording a gospel album in her memory. "I might sing a gospel song in Arabic or do something in Hebrew. I want to mix it up and do it differently than one might imagine," he said. "Obviously the good word at the end of the day, it's not about the religion, it's about the relationship. And I think we all need to check our relationship." First, though, Wonder plans a celebration of one of his most acclaimed albums, 1976's "Songs in the Key of Life." Joined by musicians from the original recording as well as contemporary recording artists, Wonder will perform the album in its entirety for the first time Dec. 21 at his annual Los Angeles charity concert. Last year's House Full of Toys benefit concert included performances from Justin Bieber and Drake.